Italissima Foods Ltd. was founded in 1998 with the goal of bringing the finest specialty food products from Italy abroad. Today you can find the Italissima brand present throughout North America, with a reputation of offering the finest ingredients. Italian cuisine has a great variety of different ingredients which are commonly used, ranging from fruits, vegetables, sauces, meats, etc. In the North of Italy, fish (such as cod, or baccalà), potatoes, rice, corn (maize), sausages, pork, and different types of cheeses are the most common ingredients. Pasta dishes with use of tomato are spread in all Italy including crushed tomatoes, pomodori pelati, polpa di pomodoro and peeled tomoatoes. Italissima makes the vast majority of these ingredients and imports them from Italy and the Mediterranean region. Our Italian traditions have inspired us to create a broad range of specialty Italian and Mediterranean food products. 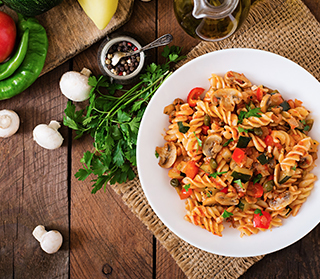 Today, we are proud to offer one of the largest selections and range of Italian and Italian-style food products in the market. We bring all kinds of specialty foods to you; from concentrato pomodoro to crushed tomatoes, meats, preserved vegetables, peeled tomatoes and much more. The inspiration of the Italissima brand came from our wish to bring the old-world Italian taste to your table. The Italissima family of products covers all your Italian and specialty food needs. In 1998, when we created the Italissima brand, we set out to bring to our consumers the highest quality and largest selection of Italian and Specialty food products. We sourced the best products, producers, and manufacturers to bring the finest ingredients to your table. Our mission is to continue to build the Italissima brand through our ability to find and source the best ingredients and products. President – Italissima Foods Ltd.